Victoria is home to some of the most beautiful landscapes in Australia, with Melbourne named the Paris of the South and the rustic, country wedding venues that are on offer, it’s no surprise people travel from far and wide to have their special day in the state of Victoria. The members of Superband have been lucky enough to have played a set of weddings and corporate events at some of these venues, so we thought we’d go and put together the most comprehensive list of Victoria’s most beautiful and critically acclaimed wedding venues for the world to see! Are you looking to inspire your visitors with a first class and refined wedding? Get around the – Flowerdale Estate, it’s less than an hour from Melbourne airport and even closer to the ‘Valley of a Thousand Hills’, between the Tallarook State Forest and Kinglake National Park. This place is absolutely stunning, with a few of, at least what we think, the world’s most impressively maintained gardens and plains – it’s truly breathtaking. Wow.. there’s a chapel, there’s a garden, and in between a million unique opportunities to catch the perfect moment of your day through photography and videography. This place is perfect! It’s run by a proper team of legitimate and seriously committed individuals named Shane, Rob and Andrew who take full responsibility for the business, food, the grounds, and the result is clearly capitulated below through imagery. 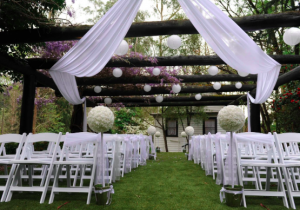 There’s a wide range of different opportunities for ceremonies and events, too, with the below image of the Pergola Ceremony set up for a spring wedding. The Goulburn Valley Region is one the most picturesque views in Victoria and as a direct result earns its place on this list with absolute ease. Byrchendale is a Barn Wedding venue that finds itself no more than a 90 minute drive out of Melbourne and is home to some other pretty astounding delicacies as well. If it’s cheese, award-winning wine and the love of your life with family and friends in the region you’re looking for, then congratulations your search has come to an end! 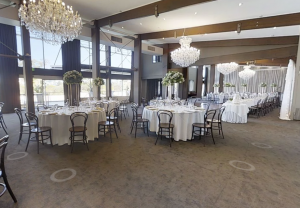 Eagle Ridge offers two pretty significant locations in their wedding venues in Victoria – with the Ballroom and Lounge Bar as exceptional locations. It offers both indoor and outdoor locations for you to marry the love of your life, with some of the most epic outdoor settings in this list! Fenix’s wedding venue is a relatively new addition to the region but simply couldn’t be ignored. In order to become the unique space that it is, it boasts a million dollar makeover budget from what was once a restaurant and has all of the bells and whistles to boot as a result. It’s rustic, scenic, and beautiful in equal parts. The riverside setting represents the perfect opportunity for any time of year and will set the stage for a day that your family and friends will never forget as you tie the knot. Tim and Ange from Cave Hill Creek have taken this property to the next level. This is one of the venues that we personally hadn’t heard of but immediately after our first sight, it reserved itself a spot in the list. With a wide open space and some of the most beautiful countryside views on the list, open-air newlyweds would be urged to start a conversation. 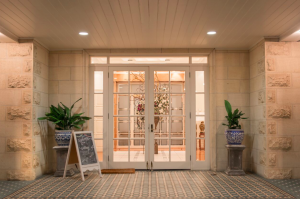 There’s room for up to 250 guests, and all of them are accommodated and made to feel welcome, with catering and everything else that you need to be able to take a deep breath (fresh air, again!) and focus on your special day with your loved ones. Glen Erin is based in Lancefield and lends itself as more than just a wedding location or venue with opportunities for corporate getaways as a priority as well. 50 minutes from the CBD, or 30 minutes from the airport in the Macedon ranges, it’s a stunning place to tie the knot or catch up to realign, refocus and stay refreshed. It has the ability to be fully inclusive, with a wide range of packages suited to budgets and those needs that you might have for the day to go smoothly. There’s wine, good food, good times, and the opportunity have a bit of fun and get the perfect snapshot with the picturesque countryside. There’s a bit more to Flowerdale Estate than simply just a wedding venue, this one has some serious history. In Between the Yarra Valley and Kilmore, it’ll be no more than 40 minutes for your guests to arrive at this beautiful location from Melbourne. This homestead, upon original establishment, took a total of 3 years to build, and was actually established around about the same time as Melbourne – you’re getting married somewhere that established the beautiful city. This is more than a place to get married, with the region’s greatest recreational facilities, you can let your hair down, too! The team at Inglewood Estate have been managing and coordinating weddings for over 15 years, and judging from their reviews and happy wedded couples, they have some of the best coordinators in the industry. They’ll actually take it to the next level and help you manage the entire process, which is what has seen Inglewood Estate and their staff finalists in the Australian Bridal Industry Awards since 2007 – good work! With a non-denominational chapel on the estate, give them a call, if you’re looking to really get the perfect wedding venue in Victoria. Victoria Park has been consistently the most awarded venue for many years now, and it’s no surprise with some pristine grounds, chandeliers…. This is one for the special day’s list. With a wide range of options and those tailored to sit down options, you will be sure to get the most out of this location when you get married to the love of your life – with the photos to boot! If that’s not enough – Victoria Park was proudly awarded Most Romantic Wedding Venue, 2018 Lux Global Wedding Excellence Awards. 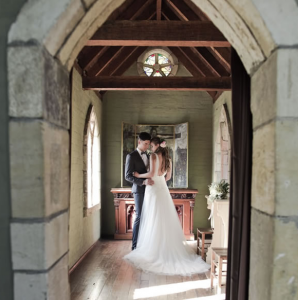 Potters is simply one of the best wedding venues Melbourne has to offer. 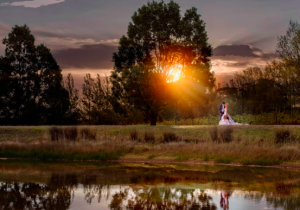 The stunning ceremony and reception facilities are located at the gateway to the Yarra Valley and just 30 minutes away from the Melbourne CBD. 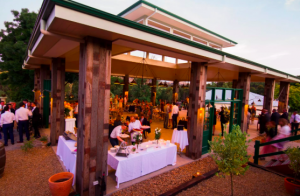 Boasting six acres of Australian native gardens, on-site accommodation and multiple ceremony locations to choose from, they can make your dreams come true. 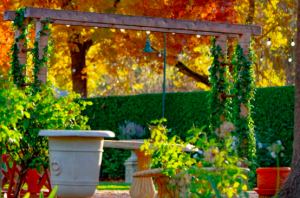 Montsalvat brings to life a slice of rustic Europe, nestled in lush gardens and providing a story-book background of endless potential for you and your guests. You can be certain you won’t find anything else quite like it. Contemporary with a hint of country elegance. Food, wine, and right near the Yarra? 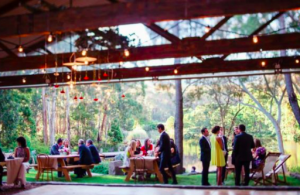 Nestled in the scenic Yarra Valley, Immerse is a breathtaking wedding venue, an acclaimed restaurant, boutique winery and state of the art conference centre all rolled into one. 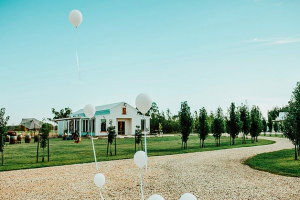 Rolling hills of vines, picture-perfect gardens, stunning accommodation, succulent food and two beautiful chapels, combine to create the Yarra Valley wedding you dream of. Immerse is located in Dixons Creek which is just a short drive from Yarra Glen, Healesville and surrounding Yarra Valley attractions and accommodation. 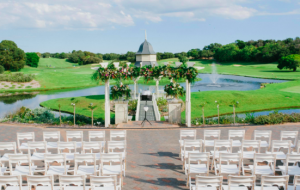 Our luxurious rooms, delicious catering options and lavish outdoor settings combine to become a perfect option to satisfy your small and large wedding venue needs. The Manor, located in Epping, has been inspired by the French-Georgian styling of the 18th century and is beautifully decorated and furnished. Directing around 300 wedding services a year. The Manor has gained a reputation as one of the best wedding reception venues in Melbourne.